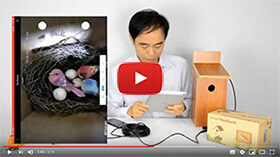 WiFi bird box camera provides new solution watch your birdhouse. Not only see the bird box inside thru your mobile phone, but also eliminate the cable connection between the bird box camera and your home network. That means it possible save hole-punching for cabling on the wall. You can even use a waterproof battery pack to make cable free bird box camera system. However, the signal is always key element to setup WiFi bird box camera. Without stable WiFi connection between the bird box camera and your home router, you may have poor experience to watch the birdhouse. The WiFi bird box camera is working similar as your mobile phone. It requires WiFi connection to your home network in order to be online. You will need to verify the WiFi signal around the installation point before you make any permanently setup. Verify the Wi-Fi signal coverage is easy. Simplely grab your mobile phone, stay on the location you plan to install the Wi-Fi bird box camera. If the Wi-Fi signal bar always shows the good, the installation is ready to go. One of the exception is the Wi-Fi signal Jams, this is very rarely case. Only happen when there’s many Wi-Fi network (router) in your place which make collision with each other. The mobile phone may still detect the full signal but just keep connect and disconnect. If you are not confidence with the test, you may turn on online video streaming such as Netflix or Youtube, the bandwidth requirement for Wi-Fi bird box camera is similar as you are watching 720p video online. When the signal coverage is not good as you expected, you may need to determine the cause and look for the solution. The wall is always the first cause which could weaken your WiFi signal. 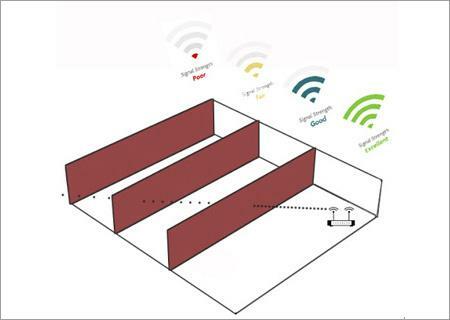 Penetrate one wall could cause over 50% Wi-Fi signal drop. If there are more than 3 walls between the Wi-Fi router and the bird box camera installation place, you may choose other location which is more close to the router to gain better signal coverage. Adding Wi-Fi Extender could enhance the signal coverage around the WIFI bird box camera. 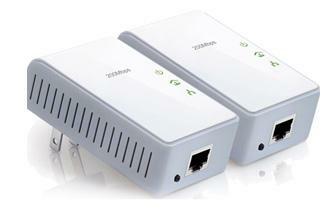 The extender receives the Wi-Fi signal from your main router and re-generate in the new area. The transmission between Wi-Fi extender and the main router is still Wi-Fi. The walls will weaken the signal before it arrives at the Wi-Fi Extender. Find a clean path without too much block between the Wi-Fi extender and the main router. Normally it is the L path. The Wi-Fi extender doesn’t’ have to stay very closed to your WIFI bird box camera. 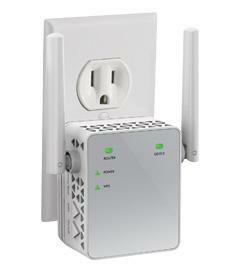 The power line Wi-Fi adaptor uses the power line to transmit the network signal. Normally it has transmitter and receivers working in pair. The transmitter will encode the network signal, the receiver decodes it and emit thru Wi-Fi near the camera. Generally speaking, the power line WiFi adaptor turns your power line into a network cable. You deploy the transmitter near the main router and receiver close to the window where you can see the Wi-Fi bird box camera. There are still some constraints with power line adaptor. The receiver and transmitter need to stay within the same power meter and the power line cabling should be standard. The high-power machine also may generate the interference to the power line adaptor. If there’s no WIFI network or you just don’t the WiFI bird box camera online, there still has one last option. The WIFI bird box camera supports AP connection. That means the bird box camera can create a small WIFI network around which allow the mobile phone, iPad or laptop to connect it directly. In this case, watching the bird box camera over internet is not available. You will have to stay 10-20 meters far from your birdhouse to receive the live streaming or playback the recording video on the Macro SD card. Simple press the reset button over 5 seconds, the WIFI bird box camera will dis-connect from your home network and generate WIFI hot spot for your mobile devices accessing. Would you like to watch the WiFi bird box camera on your mobile phone? Click to find the live feed.